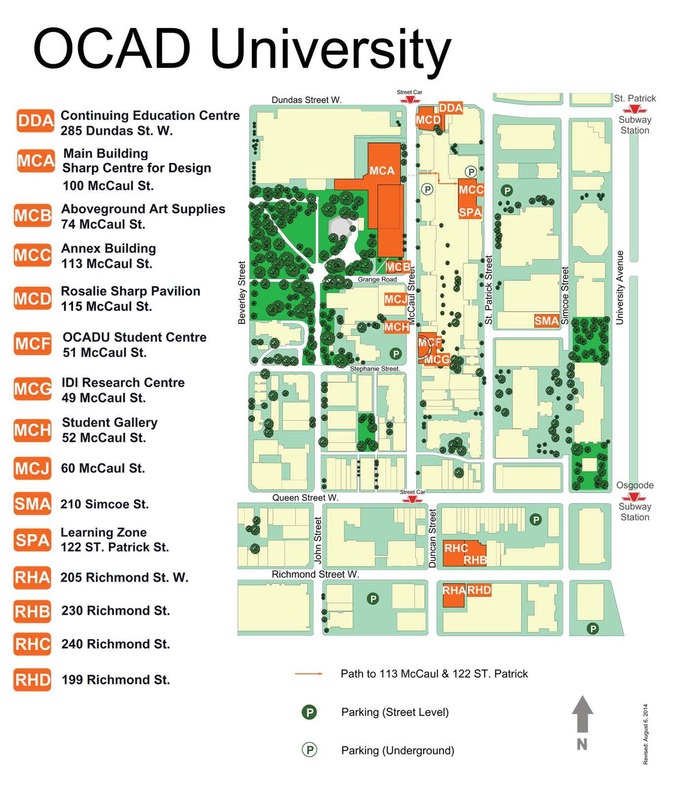 OCAD University is changing the way buildings and rooms are identified across the campus as we transition to Project Chroma, the new student information, HR and payroll system. 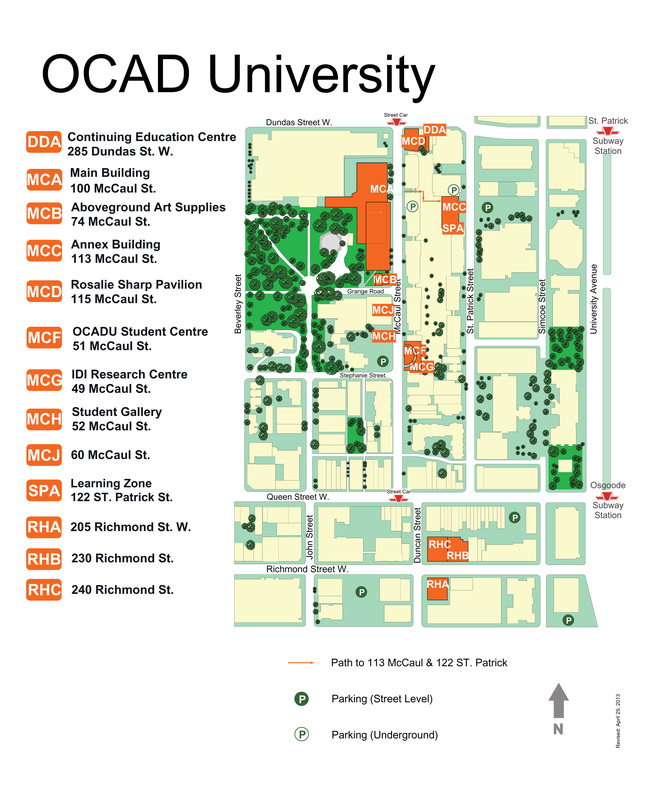 The resulting changes will clarify room locations and improve campus navigation while accommodating future expansion. 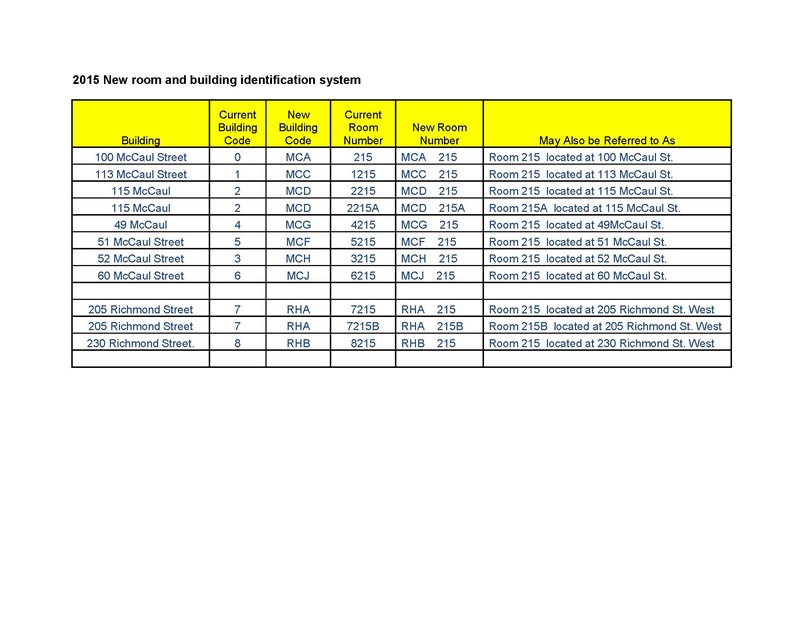 Each building will be assigned new identification. Instead of referring to buildings by number, the new system will use letters. Please refer to the guide and 2 maps below that identify new building codes for all buildings on campus as well as future expansion.